In 1965, Hans Gmoser began selling helicopter ski tours of the bugaboos, opening the high glaciers for the first time to skiing. Hans Gmoser, a zither-playing, mountain climber of easy demeanor, residing in Linz, Austria came to Canada in the early 1950s. He found his way to the Rockies, was impressed by their inaccessibility and went to work as a hiking and climbing guide. He first brought skiers into the Little Yoho area in 1956. Simultaneously, he was making ski movies and hired helicopters to film the heights. On a trip east in the early 1960s, he was showing movies of his climbing tours when he was asked whether he could accommodate a group of skiers who wanted to ski the Canadian Rockies but not waste time walking. He was asked whether he could provide a helicopter. Gmoser accepted and proposed the Bugaboos which had some fine glacier skiing. In 1965, he packaged two week tours into the Bugaboos and opened the high glaciers to helicopter skiing. With his profits, he soon built the Bugaboo Lodge. Other entrepreneurs soon followed suit, flying into not only the Bugaboos but the Monashees and Cariboos. But it was Hans Gmoser who led the way. 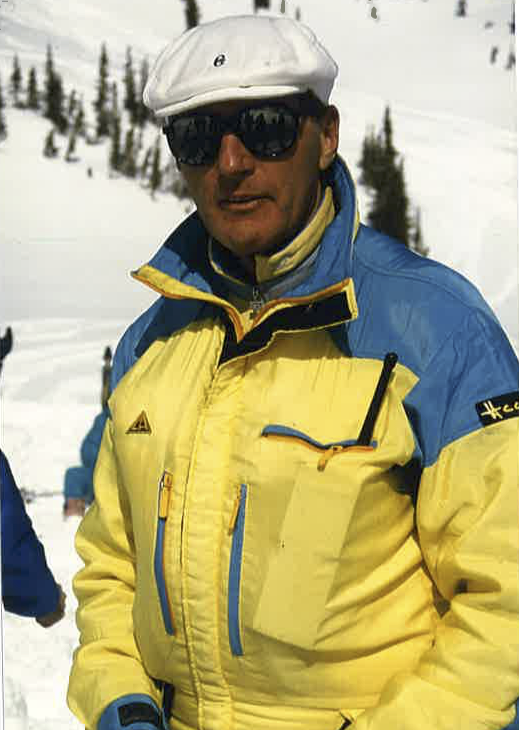 Hans Gmoser was elected to the U.S. National Ski Hall of Fame in 2002. If you notice any errors or inconsistencies in Hans Gmoser's bio, click here to let us know.